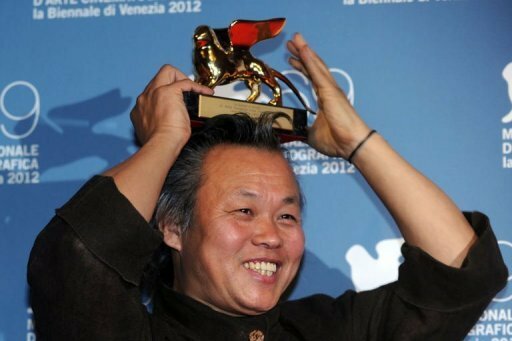 South Korean film Pieta has won the Golden Lion award at the 69th edition of Venice Film Festival. The best actor award was split between Philip Seymour Hoffman and Joaquin Phoenix for The Master. Inspired by Scientology founder L Ron Hubbard, the film also picked up the Silver Lion prize for best director. Directed by Paul Thomas Andersen, The Master tells the story of a sect leader who takes a war veteran under his wing. Philip Seymour Hoffman, who also collected Phoenix’s award, said: “Joaquin Phoenix is a life force in this film … and I kind of rode that life force and that was my performance. Morality tale Pieta, directed by Kim Ki-duk, centres on a debt collector who is forced to examine his life when a woman turns up claiming to be his mother. On accepting his award, Kim Ki-duk sang a song to the audience while thanking the jury. The Venice Festival jury, which was headed by US director Michael Mann, picked Hadas Yaron for best actress for Fill the Void, a film delving into the life of an ultra-Orthodox Jewish community.